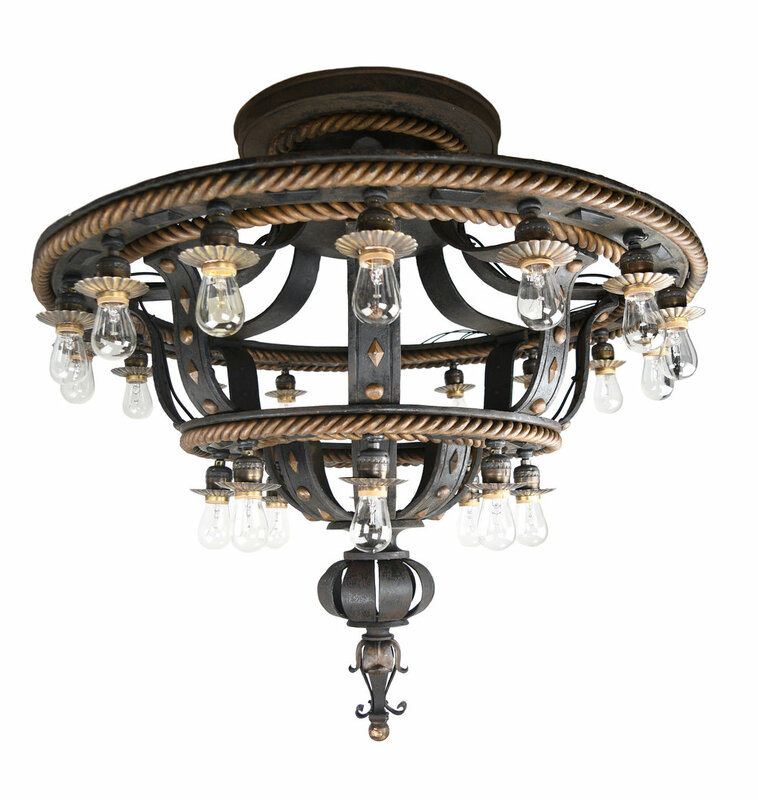 This enormous and exquisite flush mount chandelier features many decorative flourishes and 24 light bulbs making it an extremely illuminating fixture. The sturdy cast iron frame is highlighted by numerous brass floral designs and braided circles. Alternating prism shapes and circular buttons adorn the frame. A lovely flower-shaped finial rests at the bottom, drawing the eye’s attention to this truly spectacular chandelier. Architectural Antiques will consider reasonable offers. Be sure to include the Product ID AA#45852 when making your offer.